35MM Light Duty Blickle Swivel Caster Bolt Hole Fitting, 220 lbs Cap. 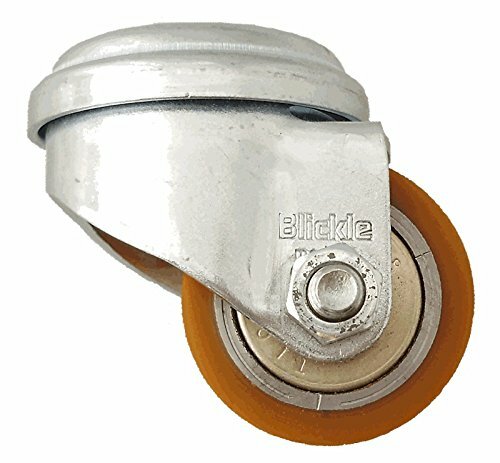 35BVSBHS 35MM x 27MM Swivel Caster Polyurethane wheel - non marking Low noise operation Low profile High Capacity 220 lbs or 100 KGload capacity 2.0" or 50mmoverallheight Precision Ball Bearings Zinc finish 11mm Bolt Hole Please note these ship from Canada. Used forElectronic Equipment, Business Machines, Store Fixtures, Laboratory Equipment, etc. If you have any questions about this product by Blickle, contact us by completing and submitting the form below. If you are looking for a specif part number, please include it with your message.